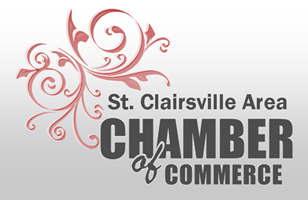 Thank you for your interest in becoming a member of the St. Clairsville Area Chamber of Commerce. The Chamber provides a wealth of opportunities in networking, advertising, and marketing for our member businesses and organizations. We also serve as a link between our members and many community outreach opportunities. If you or your business would like to become a member of our continuously growing organization, simply fill out the form below to begin the process or for a printable form click . We look forward to hearing from you! To complete the online application, you must pay by credit card at the check out. If you do not have access to a company credit card or one that you use for business, please print off the paper form and mail it in with a check. If you have any questions about the appropriate membership dues category for your business or anything in regard to the membership application, please feel free to contact us prior to completing it. Once we receive the application and payment, we will proceed with membership approval. BEFORE COMPLETING THE ONLINE APPLICATION, PLEASE TURN OFF ANY POP-UP BLOCKERS AS THEY WILL PREVENT THE PAYMENT SCREEN FROM OPENING AND CAUSE A DELAY IN YOUR MEMBERSHIP APPLICATION PROCESS. Core Chamber Membership - exclusive member benefits for additional businesses / locations owned and operated by a current chamber member. Note: largest business must be primary business and pay dues accordingly. Contact Chamber Office for appropriate pricing based on all business memberships or with any questions. Includes Hot Deals, Events, Job Postings, Marketspace.